Our technicians first conduct a septic inspection which involves locating the septic tank. Then the actual work of septic tank pumping starts. We have the necessary tools and equipment to carry out septic tank irrespective of the size of the tank. We also provide new septic tank installation if there is any need for it. A lot of problems are faced by homeowners that do not get the septic tanks of their homes cleaned and pumped at a regularly scheduled time. It is necessary to get a septic inspection done every three to five years to ensure that the system is working perfectly. 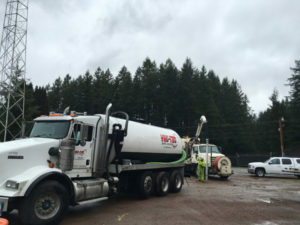 We have been providing septic tank cleaning services for Rainier clients for a long time. We maintain a client database noting when the next service should be conducted. With us as the company for septic tank pumping, you can be sure of high quality services. 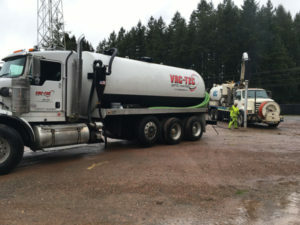 Why Should Rainier Residents Choose Us for Septic Pumping? We have worked hard to earn the respect of our clients by supplying excellent customer service and the right solutions for problems with their septic systems. 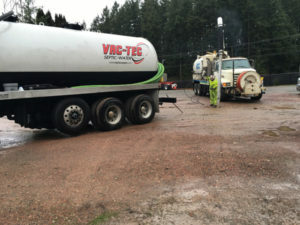 Whenever you have a need for septic pumping or septic tank cleaning in Rainier and you want the assistance of a professional company, call Vac Tec at Tacoma – (253) 777-4887 Seattle – (206) 339-0039 Olympia – (360) 338-6686 North Dakota – (701) 566-0045.